Most audiophiles will be acquainted with the arduous process of setting up a perfect sound system. 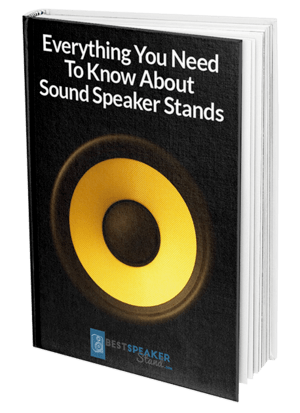 There are so many things that you must account for while you are ensuring that you have the best spea﻿﻿ker s﻿﻿etup. You have to consider the angles at which your speakers are placed when compared to their distances, for one. You also have to consider the floor that your speakers are placed on, as it may end up damage﻿d or it can even diminish the quality of the sound which comes from your speakers. It seems that even once your setup has been completed, there are issues which can simply pop up and make the process even more arduous. If you are looking to ensure that your listening setup is ideal, there comes the point where you may have to hide speaker wire. We all know that cables provide the best sound fidelity, so we aren't even going to try and recommend that you go wireless, but we will offer some advice on hiding speaker wire. If you are looking to conceal the speaker wires that are on the floor, you have quite a few options. One of the more simple methods is to run the speaker wires along the bottom of your walls. This will ensure that your speakers will remain in the crease where the floor meets the wall and can then be easily covered up. When you get to a hallway or similar junction that must be crossed, however, you have a few options to ensure that your speaker wires do not get underfoot. You will find that one of the more challenging options is to drill holes in the floor for wiring. If you choose this method, you must ensure that you do not compromise your floor's integrity. If your speakers are placed on your walls, and you want to keep your wires positioned on the walls as well, you may have to put a bit more thought into your solution. You can always invest in invisible speaker wires, which are meant to blend into the color of their surroundings, this makes them significantly harder to see. Another option that you have is to make use of speaker wire coverings, which sit over your speaker wires and keep them concealed. While this option is less effective at ensuring that your walls are unaltered, you will find that speaker wire coverings provide much more protection for the wires themselves. Perhaps the most efficient way is to run the wires through your walls, but this will make it much harder to adjust your wiring and access it. If you are hoping to hide your speaker wires, there are many different ways that you can go about it. We hope that this guide has been both helpful and concise.